What is Text on Top? Text on Top can be applied widely. 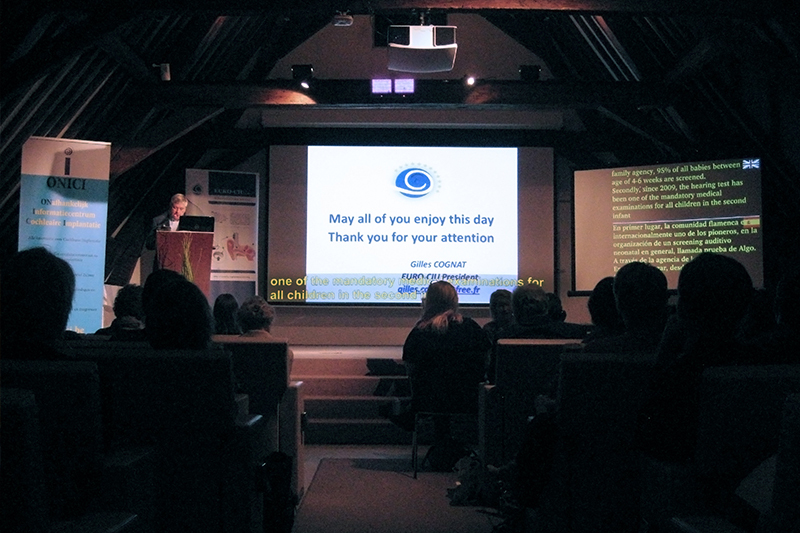 Do you sometimes have people with a hearing or visual impairment in your audience? Or the audience that attends your presentations or congresses consists of multiple nationalities? Or do you just want textual support to enhance the quality of intake of information? Then Text on Top is the solution for you. 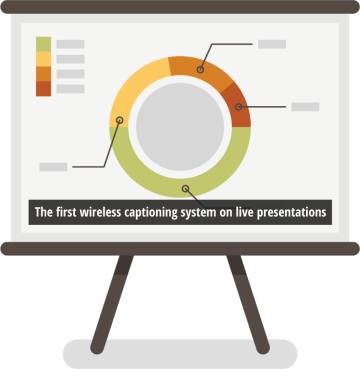 Text on Top enables that spoken text, converted into written text by a captioner or reporter, can be shown on top of a presentation. Next to the presentation in multiple languages. But also shown on a tablet. 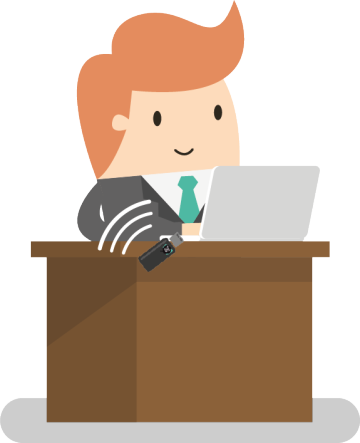 The presenter or speaker gives his presentation in the language he feels most comfortable in. Very desirable. 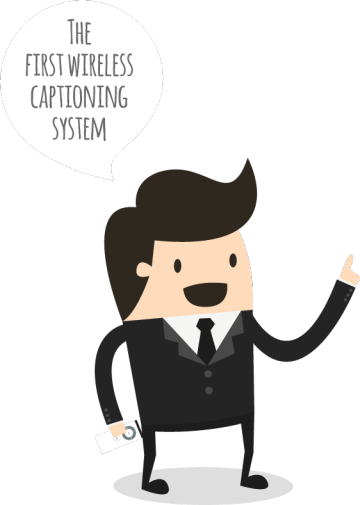 The captioner or reporter produces the text of the presenter with the system he or she is used to. The Text on Top is plugged into the computer of this captioner/reporter. This device sends the typed text real-time, word by word, to the computer where the presentation is shown. It doesn’t matter which system the captioner/reporter is using (Qwerty, Velotype, Stenotype, speech recognition, etc.). Another Text on Top device is plugged into the computer of the presenter. 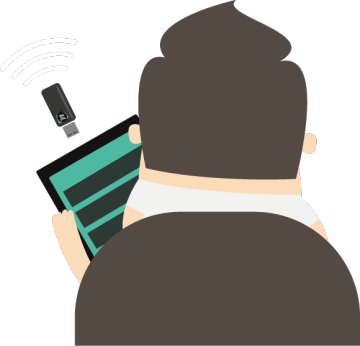 This device is connected to the captioner/reporter and receives the typed text. This is shown on top of the presentation. It is still possible to use the buttons underneath the captions or subtitles. The appearance of the captions or subtitles is flexible. The color, font, font size and location can be changed by the captioner/reporter, so it doesn’t interfere with the presentation. Text on Top offers the unique possibility to have Google Translate convert the typed text directly into multiple languages. Another Text on Top device is plugged into an extra computer, so this one also has a connection with the captioner/reporter. Then the software translates the typed text and the beamer can show the desired languages on the extra screen. The captioner/reporter will need an internet connection for this. Ever had a bad sound installation? Audience with multiple nationalities? A room which is too crowded? Or a speaker with bad pronunciation? Then a tablet will be the solution. But also for people trouble seeing, this can be a good solution when they cannot read the subtitles on the screen. 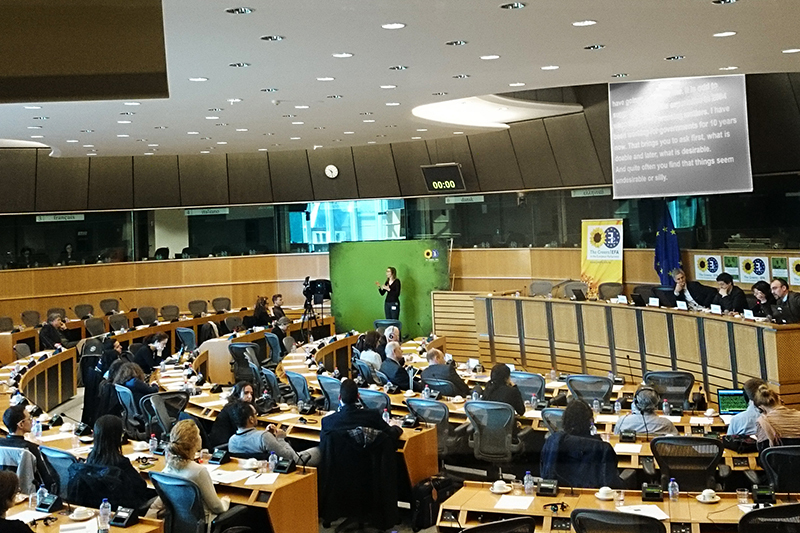 By using Text on Top in a tablet (Windows or Android) the connection can be made with the captioner/reporter. The text will be shown full screen and in the desired language of the user. 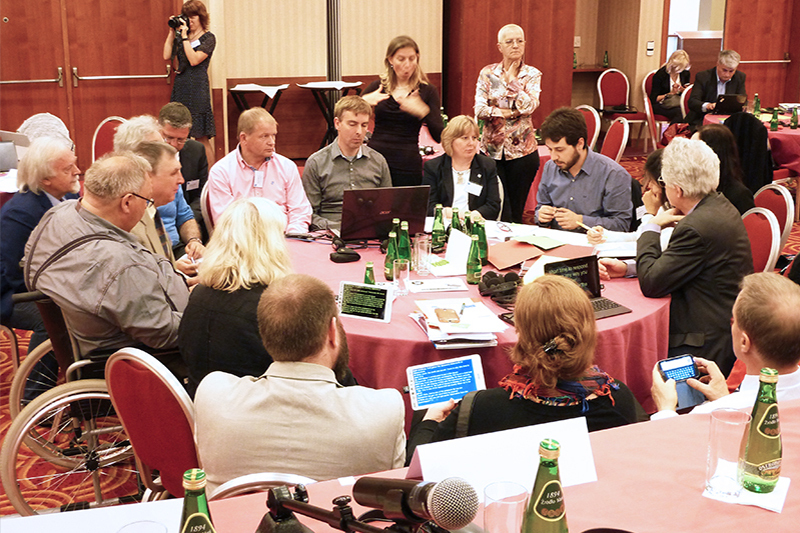 A happy audience, a happy presenter and happy organizers. Pictures often say more than words, below you’ll find some examples of how Text on Top looks. 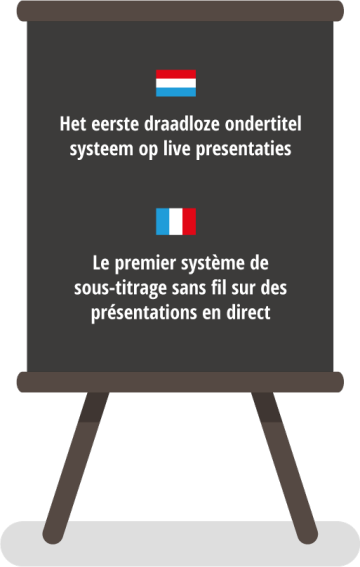 Text on Top is used to provide real-time captions on the PowerPoint presentation, as well as showing both English and the French translation on the screen on the left. Last but not least, also tablets were handed out for people reading in their own preferred language, like Dutch, Spanish, Portuguese, …! Questions regarding this explanation? We are happy to help!